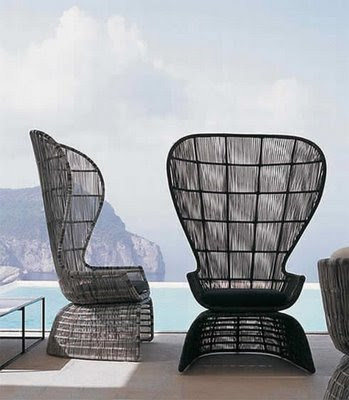 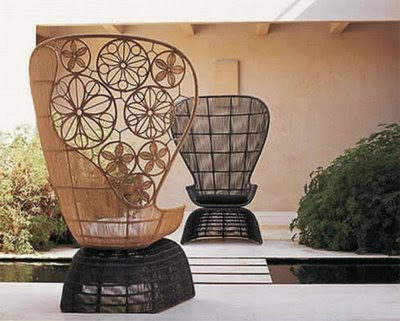 The Crinoline Collection is a great collection of outdoor seating furniture from B&B Italia. 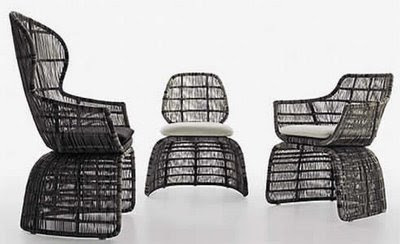 The furniture merges stylish design with sensuous pattern as the furniture made out of natural fibers steals the spotlight with its intricate forms. 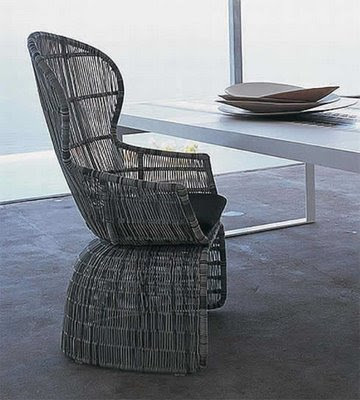 This outdoor seating crafted out of eco friendly materials. 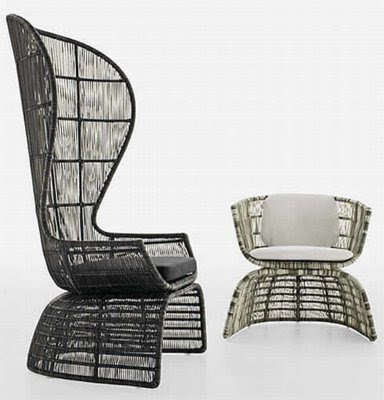 The basket at the bottom seems to accentuate the beauty of the collection and if you throw in a few cushions, then you can enjoy the summers in the fresh breeze outside with ample comfort. 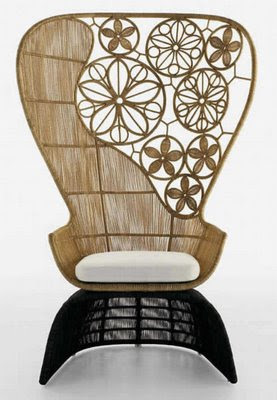 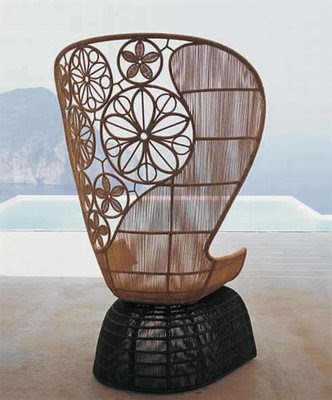 The asymmetry of the flower patterns contrasts gently with the symmetry between the top and bottom of the chairs, creating a very harmonious overall appearance.